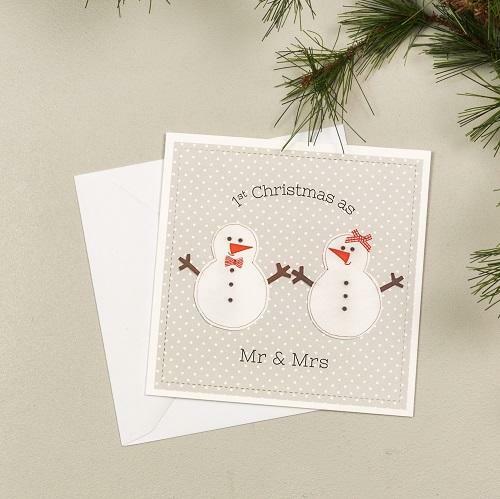 The lovely snowmen are digitally reproduced from our textile appliqué artwork, keeping the stitched details and embellishments as true as possible. 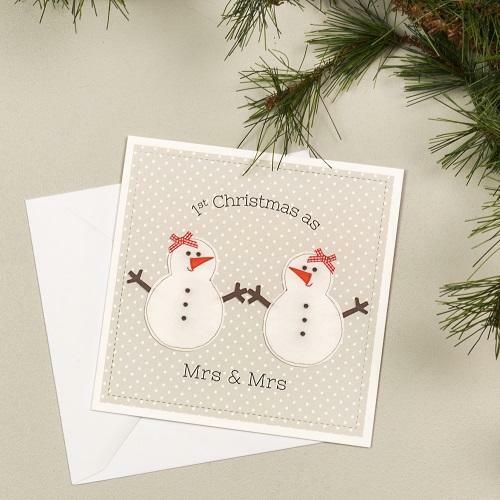 The pale grey background gives the card a contemporary feel whilst the font was chosen to compliment the artwork. 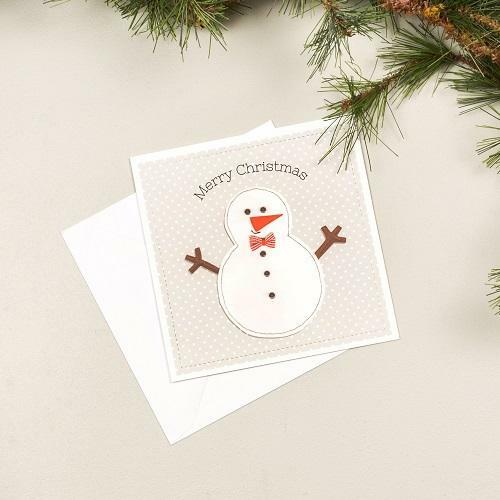 This card is left blank for your own message. 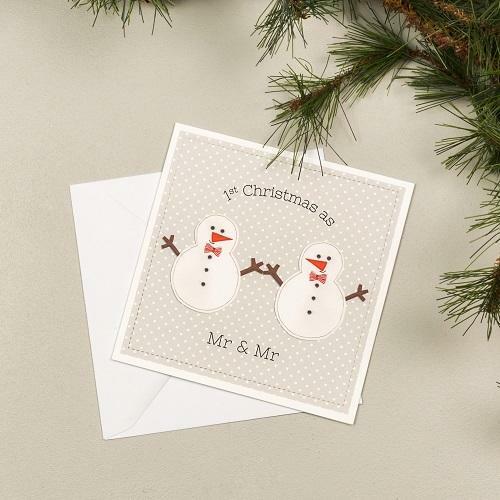 The cards are professionally printed on 300gms gesso textured card. 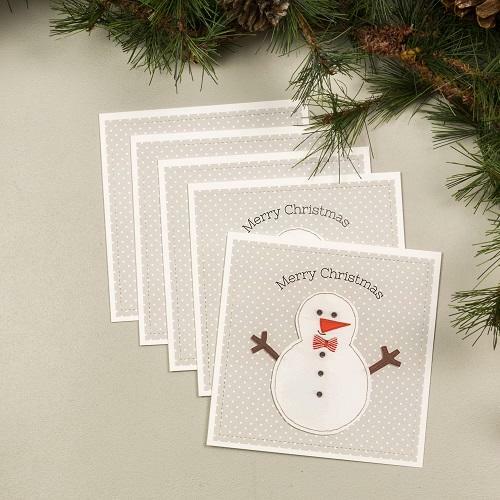 Each card comes with a white envelope and packed in a cello bag.